If you've been considering catching up with the increasing trend for cruises in Southeast Asia, you will have noticed Phuket in Thailand appearing more frequently in the itineraries of cruise lines operating in this territory. The island of Phuket, a short flight south from the capital, Bangkok, is renown for a boisterous night life in the downtown district, but also for a wide range of ultra-luxurious resorts and spa properties catering to those more inclined to a peaceful stay in this attractive destination. Visitors can enjoy any number of seaside resorts offered by all the major brands in international hospitality ranging from secluded private villas to expansive, integrated resorts catering to more than 1000 guests. The port of Phuket is located at the southern extreme of the island only a few miles from the bustling city, but also near the idyllic Cape Panwa precinct where several high-end resorts enjoy expansive views over the sea while retaining the convenience of proximity to the port. I recently joined a Silversea cruise from Phuket and was delighted to stay at the recently rebranded Amatara Wellness Resort which enjoys a breezy location overlooking the port where you can keep an eye out for your cruise ship as well as enjoy superior amenities. 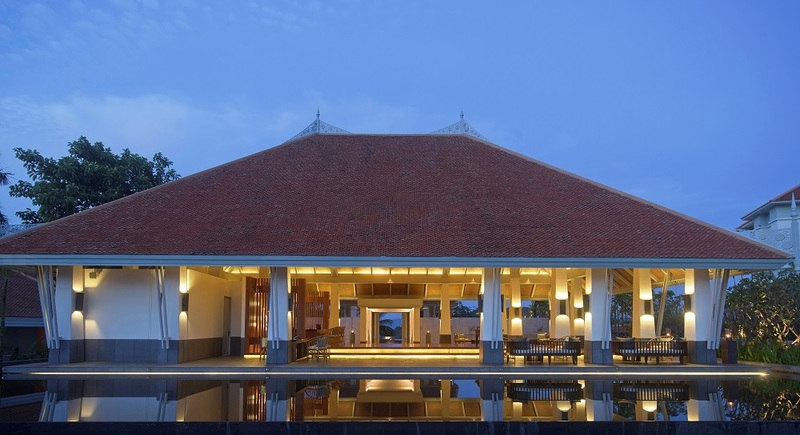 There are 105 pavilions, suites and pool villas, all featuring scenic and expansive views of the Andaman Sea. Rooms start at a spacious 60sqm for pavilions, up to a generous 150sqm for pool villas. All are equipped with at-call butler service, extended sundeck areas and a private balcony. Eight private treatment rooms, all overlooking the seascape, feature the signature Amatara Spa treatments. All Cuisine is specially prepared by Executive Chef Justin Baziuk with each dish made from 100 per cent organic ingredients and is carefully prepared with the aid of a nutritionist to fit each of Amatara's treatment programmes. The all-inclusive programme integrates accommodation, nutritious and organic food, along with personalised leisure and wellness pursuits. Recognised as one of Thailand's top restaurants,"The Grill" offers fresh seafood and prime cuts, and serves up an informal fine dining experience. At the "The Restaurant" guests can enjoy international specialities and local cuisine that is incorporated with authentic Asian influences. For reservations or information, visit worldhotels.com where toll-free numbers can be found for all the world.